Professional photographer, Amy Hedger with AMHphoto offers indoor and outdoor photography sessions for newborn, family and senior portraits in the Kankakee area. A session can last up to two hours and allows for up to three outfit changes. 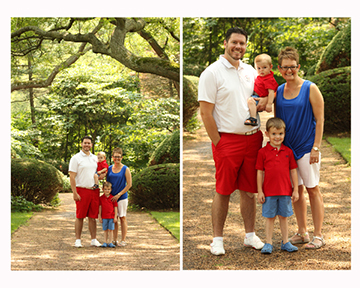 Family photography sessions can include group portraits and smaller breakdowns of siblings and individuals to provide a variety of options. There are some moments in your life where you want a special photograph to serve as a permanent reminder of those memorable times. This is especially true when it involves your family and that is why a qualified photographer such as Amy Hedger with AMHphoto who specializes in Kankakee family photography is such a good idea. A qualified photographer such as Amy will make sure that the lighting is perfect, that the backdrop is ideal, and ensure that everyone is organized in the correct and looks natural and relaxed. When you have a new addition to your family, there is no doubt that you will want to have the most amazing photos of your newborn child to treasure forever. AMHphoto offers a Kankakee newborn photography service to help capture these precious times. Taking that perfect photograph of a newborn is known to be difficult, so place your trust with Amy Hedger, a Kankakee newborn photographer. She is an expert in the digital photography world and will know exactly how to prepare the setting just perfectly. Newborn portraits should be set around the baby’s sleeping and eating schedule. You are encouraged to bring your own memorable and meaningful props such as blankets or toys to be included in the photo. Your new baby is going to grow quickly, wouldn’t it be great to be able to reflect back on these special times? Senior pictures can include original props like sports memorabilia or awards earned throughout their high school career. As we age and reach certain milestones in life, we continue to change in so many ways. Using a professional photographer such as Amy Hedger with AMHphoto who offers a Kankakee senior pictures service will allow you to really capture those special moments where your child has grown into an adult and reached their senior year at school. This is undoubtedly a turning point in their lives, so it will always be something that you remember and a time that deserves to be preserved. Capturing these transitions is an amazing process to cherish. 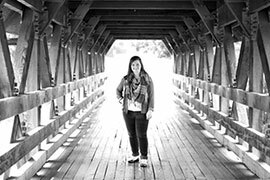 When you hire a professional senior portrait photographer in Kankakee, you can relax knowing that Amy is using her years of experience and expertise to guide you through an enjoyable process.